Mining became even more profitable through the NiceHash blockchain lottery introduced late last month with more than 25 BTC at stake. Using the multi-algorithm stratum-based solo mining pool for Bitcoin, Litecoin, and Dash, NiceHash’s latest service offering provides its customers with numerous opportunities to expand their earnings through a system that embodies the main function of a typical online lottery game. 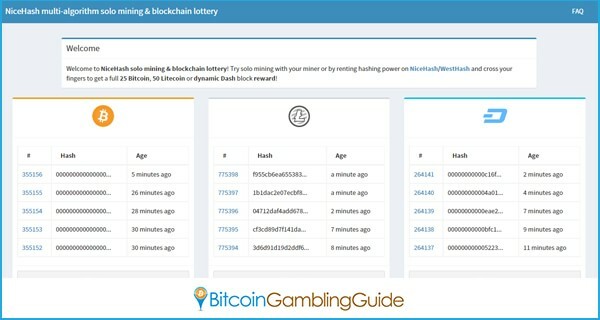 Interested NiceHash users have two ways to join the blockchain lottery, and those are to direct the miners to the solo.nicehash mining stratum servers and to buy one-click blockchain lottery tickets on the website. Opting for Bitcoin solo mining will either require users to connect their miners to the said servers or to rent hashing power on NiceHash and on its subsystem for other regions, WestHash. Successful miners who will unearth a block will be rewarded a full 25 BTC, 50 LTC, or a dynamic Dash block reward. But there is another way to win this much rewards other than connecting to the servers. Purchasing tickets presents users with a variety of options that suit their means and goals more appropriately. Each ticket corresponds to a certain amount, as well as the chance to win the prize, and buying one activates Bitcoin solo mining for 24 hours, during which winning the rewards is highly possible. The mere process of buying tickets for a lottery game hints similarities with the classic but highly favored lottery game until today. 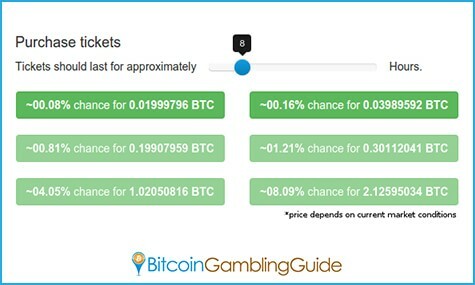 While not many Bitcoin lottery sites currently function on the market like YABTCL, the presence of the game is definitely gaining ground in this niche. Although resembling how a normal lottery game works, the blockchain lottery offered by NiceHash stands out with its striking characteristics. For instance, it is wholly based on the Bitcoin technology and is integrated into the blockchain as compared to the Bitcoin lottery games that can be manipulated to fit the preferences of the casino or the operators. Likewise, Bitcoin solo mining—on which the lottery is grounded on—provides users with a transparent and safe environment compared to the usual setup of online casinos, which tend to fail in demonstrating fairness and authenticity in their draws. 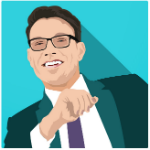 Moreover, the rewards that are up for grabs directly come from the blockchain and not from the website per se. NiceHash clearly separates itself from the common notion that the lottery websites are at the advantage, but is proving to be more proactive in encouraging its customers to find as many blocks as possible through Bitcoin mining. Nonetheless, the free Bitcoin lottery rewards up for grabs make this site worth checking out.